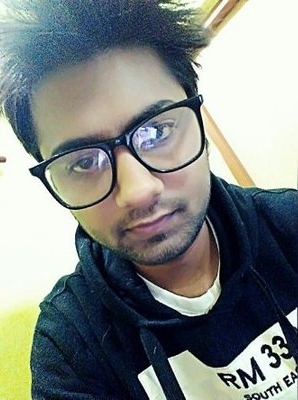 A Youngster Tried To Insult His Parents On Twitter! Amitabh Bachchan Thrashed Him For His Disrespect! There is no doubt that each and every parent in this world do everything and anything for giving their kids a comfortable and happy life. But still, many of people do always have some or the other complaint with their parents no matter what they give to them. They find faults and criticize their parents, isn’t it? Well, it is a general thing that every family comes across, rather we should say ‘ Kahani Ghar Ghar Ki’ until they themselves become parents, they don’t realize all the sacrifices and pains that their parents had to go through for them. I am upset with my parents for making me exist. You just decided to make a person? Who’s gonna pay my bills? Me? I didn’t ask for this. It is sure that such tweets that disrespect our parents and elders do make everyone furious. And guess who took note of Kush’s tweet? It is none other than Big B Amitabh Bachchan. Amitabh Bachchan is Indian cinema’s treasure and a legend. He has worked in numerous masterpieces that Bollywood has produced. ‘Baghban’ is one of the wonderful movies in which Big B has worked. The movie has a serious message for children to love and respect their parents. It’s one movie that can never get old. 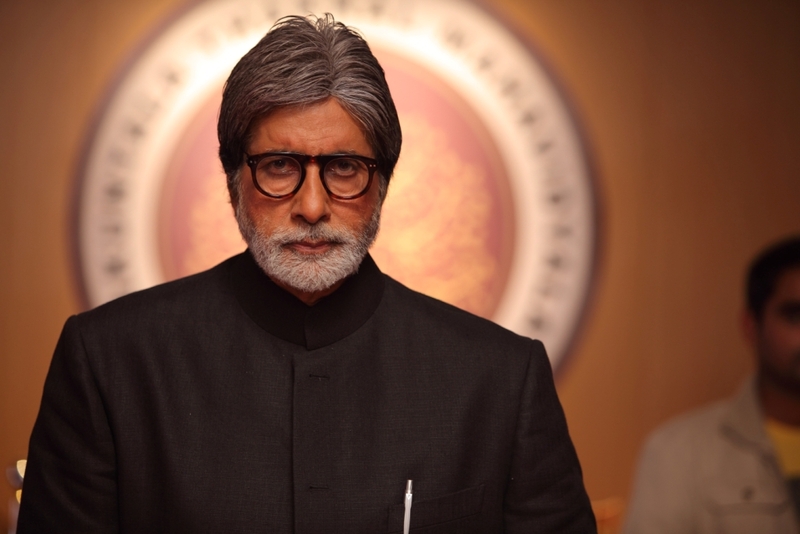 Amitabh Bachchan, who has played the role of the father in the film, is the soul of the movie. 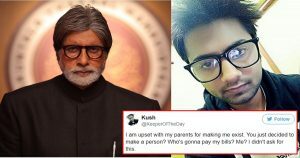 Kush’s tweet made Big B furious and he could relate to it well because he too is a parent. even your parents were made by your grand parents .. did they crib about their bills …??? You’re ridiculous! Life is a gift! Stop complaining, grow up, and contribute something to society. This is the funniest tweet ever written. I know it is different a little more these days, but pls. try to remember your parents also did not get asked to be born either. Sorry, but your parents did not make you, they are just participants with God, the Creator of life. A child is God’s gift! What do you say about this lesson? Share your views with us in the comments section below.